Lehigh Valley, Pa. — The Lehigh Valley Phantoms, proud AHL Affiliate of the Philadelphia Flyers, are pleased to announce they have signed defensemen Zach Palmquist and Nick Luukko as well as goaltender Branden Komm to AHL contracts for the 2018-19 season. 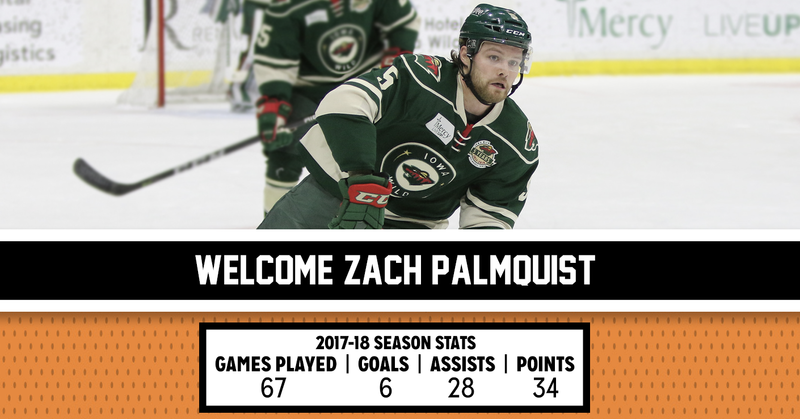 A native of South St. Paul, Minnesota, Palmquist comes to the Phantoms after spending the previous four seasons with the Iowa Wild where he amassed 12 goals and 57 assists for a total of 69 points and 92 penalty minutes. During the 2017-18 season, the six-foot, 192-pound D-man set new career highs in goals (6), assists (28), points (34) and penalty minutes (42). Palmquist also led the Wild defense corps in assists and finished tied for third in that group with two power-play goals on the season. 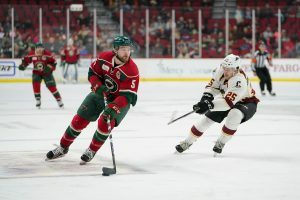 Prior to his jump to the professional ranks, the 27-year-old, left-handed blueliner completed four years at Minnesota State University – Mankato and tallied 96 total points (25G-71A). Palmquist was also named an alternate captain of the Mavericks during his senior season. Drafted by the Philadelphia Flyers in round six (179th overall) of the 2010 NHL Entry Draft, Luukko returns to the organization for another year. The local product, of West Chester, Pa., spent the majority of the 2017-18 season with the Reading Royals of the ECHL where he netted five goals and recorded 16 helpers for 21 points. Luukko also appeared in a single contest for the Phantoms in 2017-18 against the Laval Rocket on December 2, bringing his AHL total to seven games played. All told, the 26-year old has played a total of 202 games at the ECHL level where he has 55 points (15G-40A) and a plus-minus rating of plus-26. Komm, a six-foot-one-inch goaltender out of Williamsville, New York, most recently wrapped up the fourth year of his professional career with Reading after his rights were acquired in a trade with the Manchester Monarchs on February 13, 2018. The 27-year old posted a 6-2-2-0 record with a 2.06 goals-against average and a 0.936 save percentage while with the Royals. He played in a total of 29 contests at the ECHL level this past season as he produced an overall record of 14-9-4-0 to go along with a 2.60 GAA and a 0.917 save percentage during time with the Idaho Steelheads (4GP), Quad City Mallards (1GP), Manchester Monarchs (13GP) and Reading Royals (11GP). The fifth season of Lehigh Valley Phantoms hockey is coming soon! Season tickets offering a wide range of benefits as well as 20-Game and 12-Game plans are available by calling the Phantoms at 610-224-GOAL (4625).